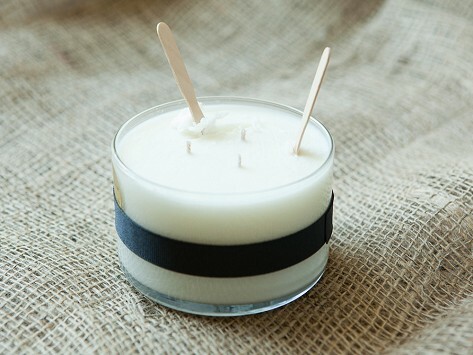 Natural, hand-poured candles that double as a moisturizer. This wax burns at a low temperature turning it into a warm and soothing body butter and massage oil when lit. When cool, it is a solid perfume. Weight: Medium: 0.31 lb. ; Large: 0.69 lb. Purchased this for my daughter. Took a little while to arrive, but she loves it. Lovely fragrance and enjoyable massage oil to soften skin. I enjoyed the aromatic in my home and the massage oil fragrance on my body. Ianthe Mauro’s love for candles dates back to her school days in Boston in the 1970s, when her teacher would light a candle each day and encourage students to focus on the beauty and strength of its flame. Ianthe continued to make candles a part of her daily life, but she worried about the toxic contents of some varieties. 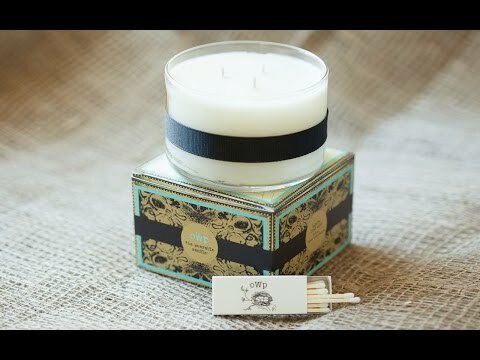 She was inspired to create her own line of nontoxic candles, with a unique twist: Ianthe’s candles are designed to be worn. Each of her candles is hand-poured with a clean-burning wax that contains organic coconut, apricot, and shea butters, along with a proprietary blend of essential oils for fragrance. The wax burns at a low temperature, so you can use it as soothing body butter when it’s warm (perfect for moisturizing and massages) and a solid perfume when it’s cool. Her scents are sophisticated and appealing, including the soothing Fight or Flight, laced with jasmine and vanilla; vibrant Dahlia, with rose and lychee; Gifted, which combines white tea, fig, and tobacco in an alluring blend; and Archetype Rising, a meld of peony, cucumber, and firewood. All of the elements—from the organic butters, essential oils, and cotton wicks to the glass containers and reusable muslin packaging—come from U.S. suppliers. We’re accustomed to lighting candles to add ambiance to a room. Ianthe’s company, Objects With Purpose, takes the candle-lighting experience even further. You can light a candle, massage the warm wax into your skin, and enjoy the scent throughout the day. For yourself or someone special, it’s a thoughtful, positive gift for the senses.